The Asus Memo 370T has a quad-core Tegra 3 but the company didnâ€™t release any information as to how fast its processor would be. It was also announced that the stylus peripheral is also dropped for the new model. It would have 1 GB of RAM and a minimum of 16GB of storage. It has a resolution of 1,280Ã—800 pixels. 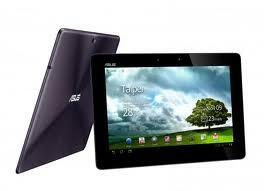 Their dimension is similar to the Acer Iconia Tab A100. It weighs 0.88 pound, which is typical for a 7-inch tablet. The Asus Memo 370T has a Micro-USB port, Micro-HDMI port, and a microSD card reader. It has an 8 MP camera, which is similar to the one found on the Transformer Prime.